There are many small tasks that have to be done when a room is remodeled. This is especially the case when remodeling a kitchen. 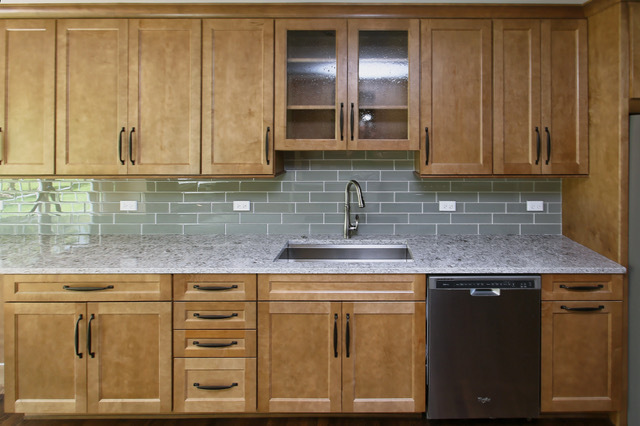 The photos below show just one of the tasks, installing cabinet hardware. In this example, we had 44 cabinet handles, each individually packed. Each handle had to be removed from its packaging and inspected. The screws were also packaged separately. Every door and drawer had to be measured to determine the placement of the handle. Holes had to be drilled, and the handles have to be attached. What would seem like a quick and simple process took my experienced carpenter an entire morning of work. You can’t rush quality work. 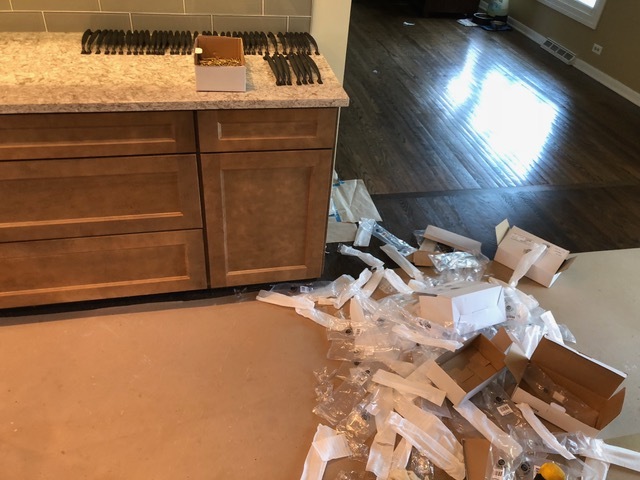 If you are thinking about remodeling your kitchen or bathroom, please give me a call and I will be happy to stop by and give you a free estimate. The new hardware finishes the look.